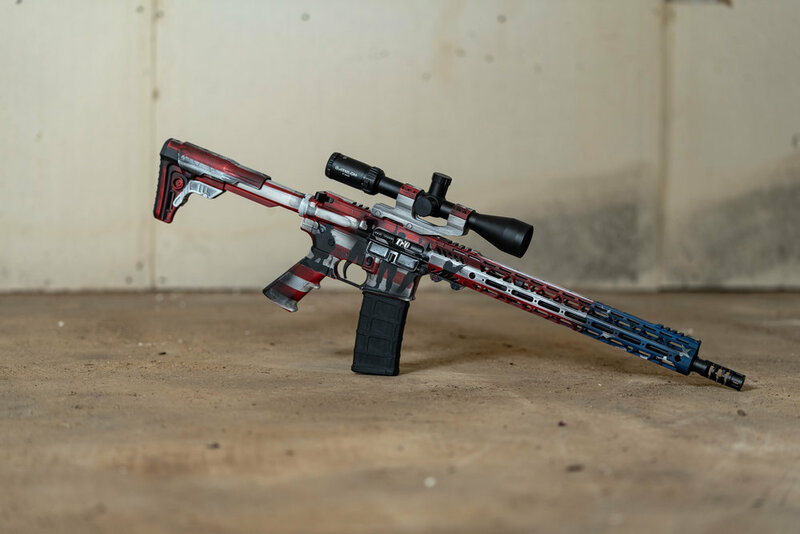 The Rock specializes in custom guns to include ARs, bolt-action rifles, and 1911s The Rock also carries rifles, handguns, shotguns, gun parts, tactical gear, and medical gear. We also offer Gunsmithing, custom kydex, cerakote, stippling, and laser engraving all done in-house. The products we sell are from companies that have been proven in combat and in competitions by men and women who apply these tools professionally. We aim to bring that reliability and trust to all of our customers. Subscribe To Our News Letter To Receive Store Updates And Sales Information! Purchase rifles, handguns, shotguns, and custom guns in house. We have a gunsmith in house. We carry a vast array of all the gun parts, gear, and accessories that you will need. We are licensed to handle your firearms transfers. And Celebrate with a New Gun!